Hi Friends! How are you? Fall is my favorite time of year in New England. 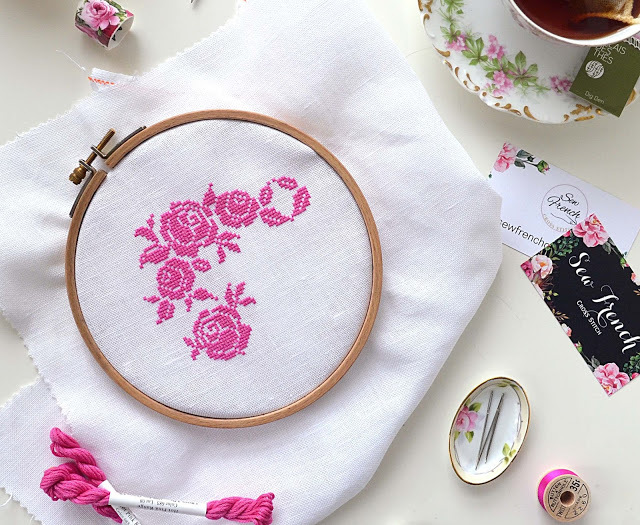 As the weather is turning colder, I've been busy stitching and designing new patterns for you. 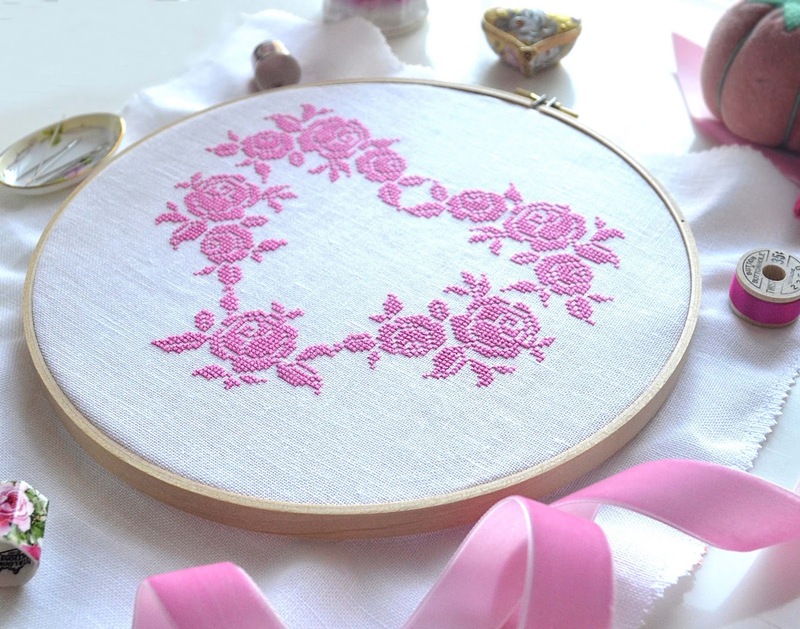 My Paris Pink Heart is a sweet pattern to stitch with silk on white linen. 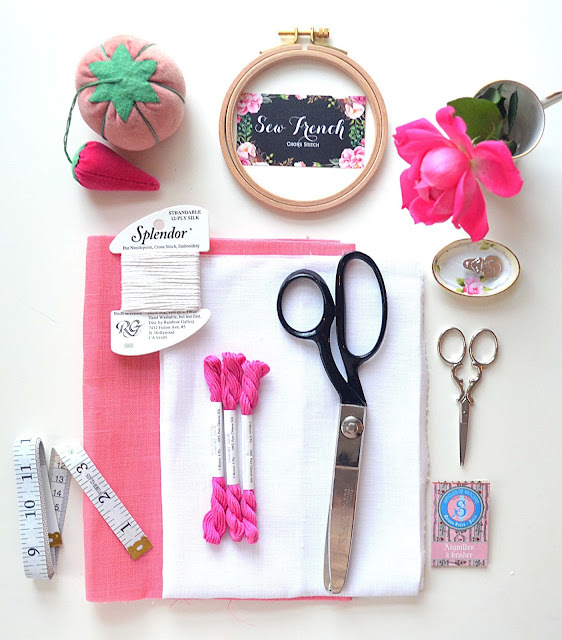 The pink silk floss is made by the Needlepoint Inc Company. 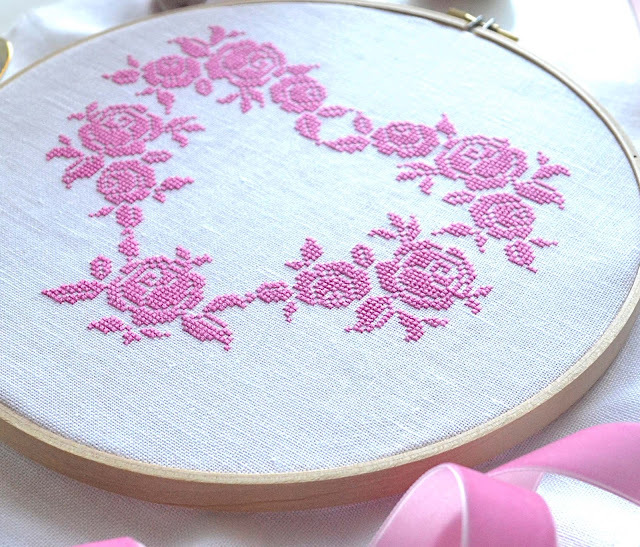 The floss I chose for this project is bright pink and just gorgeous. The low light of the winter-sun doesn't quite capture the beauty of this bright pink floss in some of the photos. 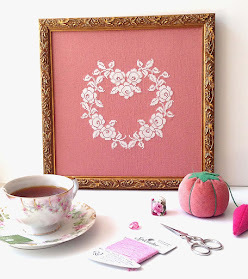 The photo (directly below with the teacup) shows a more accurate color of the pink floss. But as you can see, the pattern looks pretty with light or bright pink floss. Wintertime means lots of cozy stitching under comfy quilts. Cross stitching calms my soul. A lazy weekend morning with French-press coffee is even better when I know there's something special in my hoop. 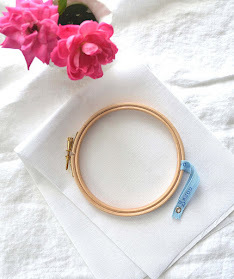 Silk is my favorite floss to stitch with because it's elegant and beautiful. 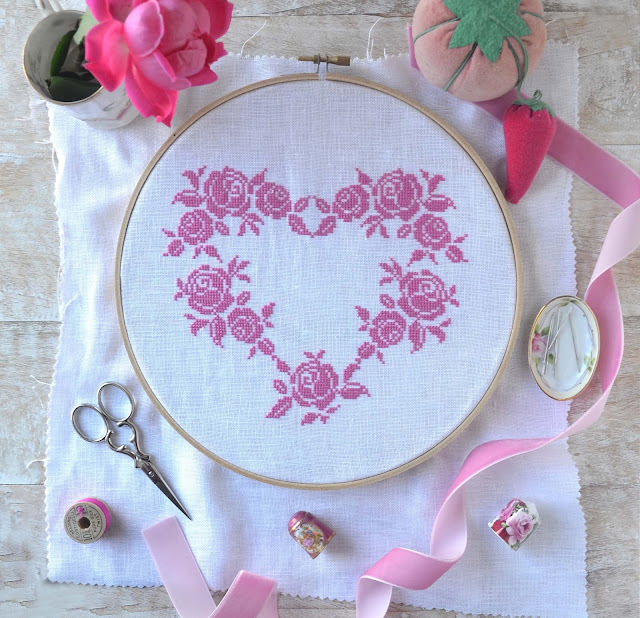 This pretty heart is inspired by vintage French linens. The pattern is stitched with pink silk floss (or DMC Embroidery Floss) on white linen. You may wish to stitch this heart in your favorite colors. White floss on colored linen is also a nice choice. Please note: This pattern is available as a instant downloadable PDF and mail order. 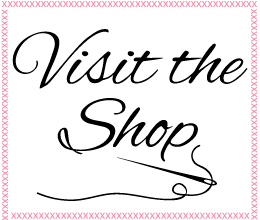 To learn more about my Paris Pink Heart Pattern please click here or visit my shop. 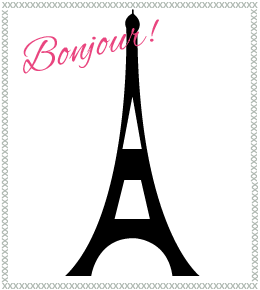 Thank you so much Mariuccia!You have a lovely blog too! Informative post really like it and you described everything in this post.